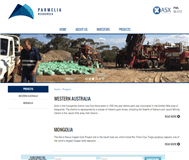 Parmelia Resources Limited is a Perth, Western Australia based mineral exploration company with a focus on exploration for Base and Precious metals with active projects in the Eastern Goldfields region of Western Australia and Mongolia. 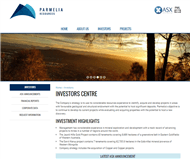 Parmelia is currently engaged in a comprehensive review of nickel sulphide opportunities with the view to establishing a portfolio of high quality nickel sulphide assets. 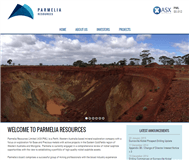 Parmelia's board comprises a successful group of mining professionals with the broad industry experience necessary to explore existing projects and to identify and pursue new opportunities in Australia and around the globe. Gold in the Coolgardie district was first discovered in 1892 the year before gold was discovered in the Golden Mile area of Kalgoorlie. 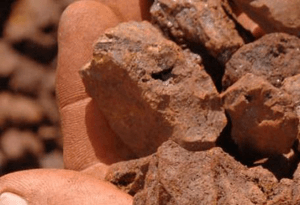 The district is represented by a cluster of historic gold mines, including the Wealth of Nations and Jaurdi Mining Centre in the Jaurdi Hills area, that historically have produced in excess of 2.5 million ounces of gold since 1892, with more than 1.0 million ounces produced since 1980. The Jaurdi Hills Project tenements are centered about 40 km northwest of the town of Coolgardie, within the Kunanaling District of the Coolgardie Mineral Field, Western Australia. In total, the Jaurdi Hills group of tenements currently comprises 39 live prospecting and mining licences (7,609 hectares), 3 applications for prospecting licences (427 hectares) and a single granted Exploration licence (E15/1061) comprised of 4 licence blocks (1,180 hectares) in application. The Jaurdi Hills Project area is within the northwest-trending Archean-aged Dunnsville-Ubini Greenstone Belt ("DUGB"). The DUGB is folded around the Dunnsville and Doyle Dam granodiorite plutons, forming an antiformal structure. Stratigraphically the DUGB is the lower member. The DUGB is predominantly basaltic, consisting of fine grained, acicular basalts interlayered with relatively thin black interflow shales. The lower sequence of the DUGB is intruded by numerous dolerite and gabbro sills, especially along the comparatively weak bedding planes of the black shales. 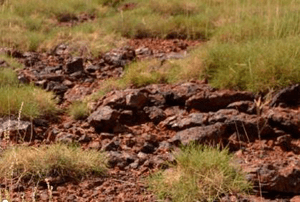 Overlying the lower sequence is a high-magnesium, possibly komatiitic basalt member with relict spinifex textures with local serpentine lenses and serpentinized peridotite with othocumulate olivine textures. The Darvii Naruu Copper Gold Project sits in the South Gobi arc which hosts Rio Tinto's Oyu Tolgoi porphyry deposit, one of the world's largest Copper Gold deposits. 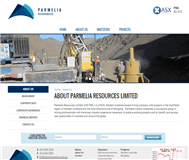 Parmelia Resources was attracted to the greenfield project, which extends over 62,735 Hectares, by encouraging results from historical preliminary exploration including regional aeromagnetics and surface sampling with maximum rock chip values such as 5.8% Copper and 34.4 g/t Gold. Before planning a scout drilling program Parmelia carried out an aeromagnetic survey collecting some 1620 line kilometres of aeromagnetic-radiometric data and commissioning two independent technical reviews which confirmed the potential for significant porphyry Copper Gold and polymetallic mineralisation within the very large project area.